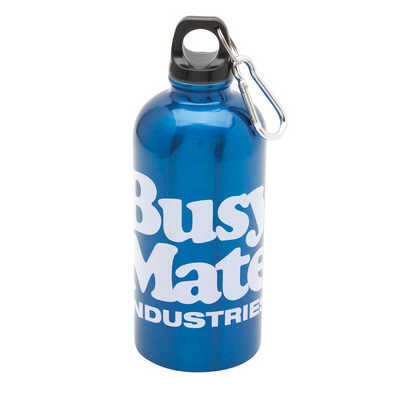 Made from BPA free stainless steel, this 600ml drink bottle is fitted with a hiking lid with finger grip and carabiner clip for easy attachment. Available in silver, black, blue, red, green and white. For use with cold liquids only. Available with optional insulating neoprene pouch. Capacity: 600ml. Individual white box. Black, Blue, Silver, Red, Green, White. Price includes: Pad Print. Setup is included.